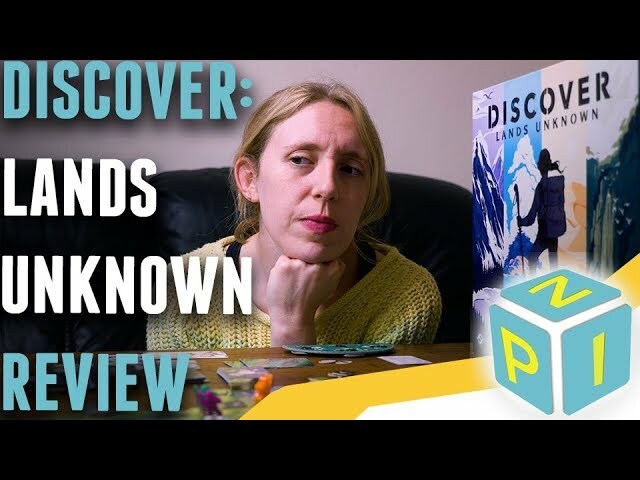 Discover: Lands Unknown is an exploration and survival game with different content in every box – which characters, lands, quests, and items will you get? You’ll have no idea until you open your copy. Filled with lush and beautiful art and designed by Corey Konieczka (Star Wars: Rebellion, Twilight Imperium, Imperial Assault) Discover: Lands Unknown lets you co-operate (or compete) to survive in the harsh wilderness you've been marooned in. You'll be fighting terrifying enemies, finding sources of clean water, and unraveling the mystery of your stranding. Each copy of the game will contain a combination of scenarios, biomes, characters, and equipment completley unique to your copy on the game. Buy Discover: Lands Unknown experience a unique adventure like absolutely no other.